Our goal in this CD series is to re-record the scores from science-fiction, fantasy, and horror films of the past in a manner that's as faithful as possible to the original movie studio versions. Rather than using standard classical microphone set-ups as if the music were written for the concert hall, we have close-miked the orchestra. This not only creates a more powerful and immediate sound consistent with the dramatic intentions of film music, but it also reveals additional instrumental detail. Just as the visual nature of film demands close-ups, film music has similar requirements, such as when the drama dictates that a single oboe must dominate over the rest of the orchestra. 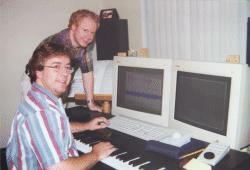 Occasionally, last-minute composition and orchestration changes were made at the original studio scoring sessions. Rather than record the hasty alterations that were often done to better synch the music to the image or to prevent the music from conflicting with dialogue or sound effects, in many cases we have recorded the composers' original intents. We hope the Monstrous Movie Music series serves as a tribute to the many gifted composers who labored hard on these pictures for little or no recognition. As watching these movies will attest, the composers who wrote these unjustly-ignored film scores were the true Frankensteins -- the ones whose artistic talents brought the cinematic creatures to life. Although we’re a small record label, we have some very big talents working for us. 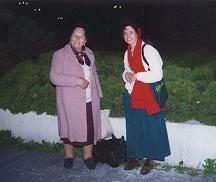 You can learn more about them by clicking on the accompanying links. 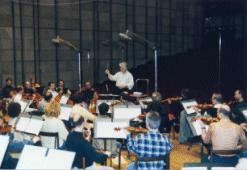 There are also many other people who have helped make our product as good as it is, such as recording engineers Malgorzata Polanska and Hubert Geschwandtner, masterers Lee Scott and Thomas Bartke, and the fabulous musicians of the Radio Symphony Orchestra of Cracow and the Radio Symphony Orchestra of Slovakia (Bratislava). And, of course, without the incredible talents of the composers whose music we’ve released, would anybody really be interested in our “monstrous movie music,” no matter how well we recorded it?